GUELPH, Ontario – A unique program is exciting young readers at Mitchell Woods Public School. 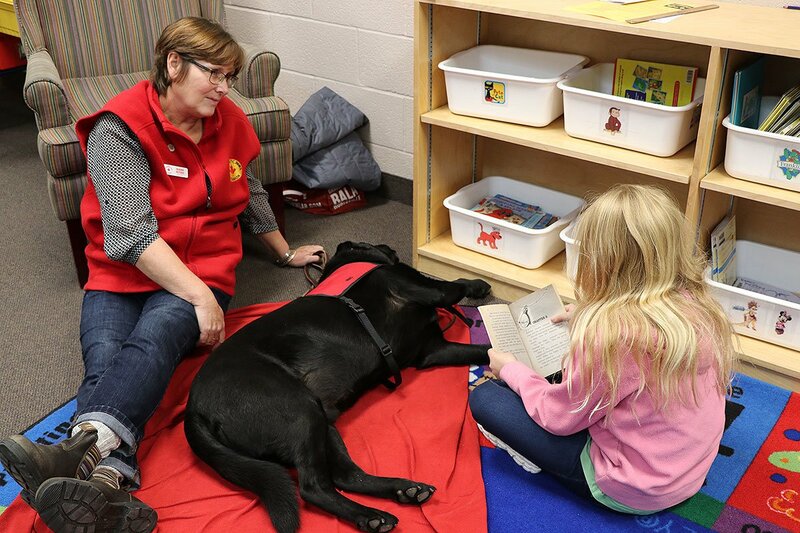 Every Wednesday, Mac and Diane visit the school as part of the Paws to Read program. Mac is Diane’s 6-year-old black lab. Each week in a one-on-one setting, students take 15 minutes to read aloud to Mac in the library. Staff say the students love the program, that it gets the children excited about reading. Even after reading time is over, they are talking about the program and writing about their experiences. One student even wrote a poem about Mac. Diane answers questions that the students may have, but otherwise the session is student-led, as they explore the books they have chosen. 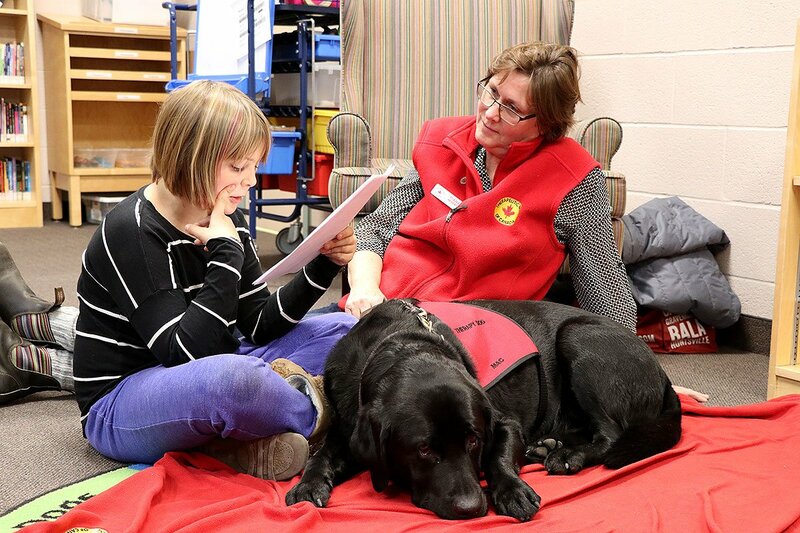 Diane and Mac also make visits to seniors’ homes and the university, but this is Mac’s first reading program. 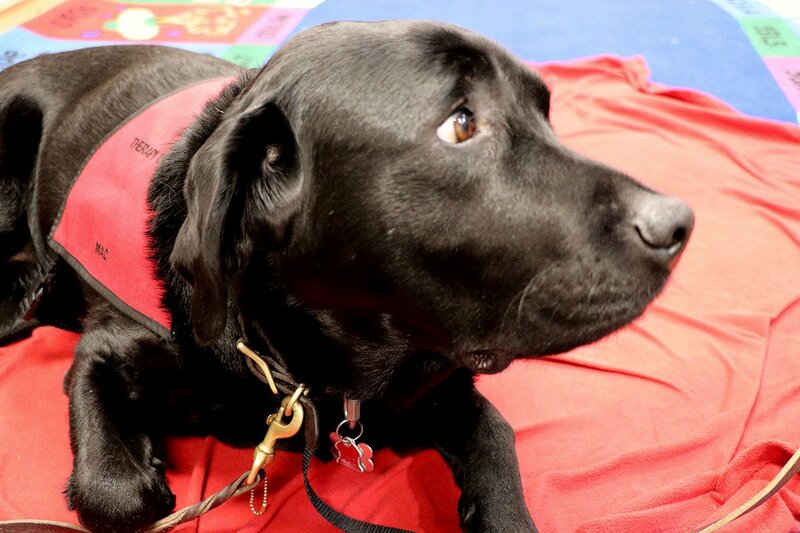 The free program is offered through Therapeutic Paws of Canada, a non-profit organization of volunteers who make regular visits to places including schools, hospitals, libraries and nursing homes. All TPOC volunteers are carefully screened and work with their own family pets to provide visits. School staff said they are looking forward to running additional sessions throughout the school year.